Do you know the last time I did a mascara review? No, me neither… but it’s been a hella long time. I used to do at least one a month but I ended up disillusioning myself seeing such little overall difference between the various tubes available. One Mascara that I’ve always meant to pick up and try is the Max Factor False Lash Effect which I know often gets loads of praise from MUA circles. I umm’ed and ahh’ed in Boots over whether to go for the original or this new spangly looking purple one. I lived up to my girly stereotype and went for the spangly one. How about more important things though, like brush… formula… ability to falsify lashes? False Lash Effect Fusion combines Max Factor’s biggest ever volumising brush with its latest lengthening formula to create thicker and longer lashes. For those girls who want an extreme lash look, they’ve come to the right place. I say, the chunky brush is pretty nice… but I imagine that for those with short lashes it could be a nightmare. I always have difficulty trying to detect whether the bristles are indeed bristles, plastic or rubber… these feel like stumpy old-style bristles to me but I could be wrong. It’s been known to happen! The formula is pretty good. I hate thin formulas that practically drip off the brush (I’m looking at you Bourjois 1001 cils) but I equally dislike mascaras that last about 3 weeks before drying up. This is middle of the road. I see a good amount of volume and I love how the Max Factor False Lash Effect Fusion has emphasised my lashline so heavily but I’m not seeing the length I was hoping for from this mascara. I’m gonna try combining it with my favourite length-boosting mascara… who knows, I may stumble upon the ‘ultimate’ pairing! You can currently purchase Max Factor False Lash Effect Fusion for a very reasonable £8.99 (saving £3 off the original price) at Boots. 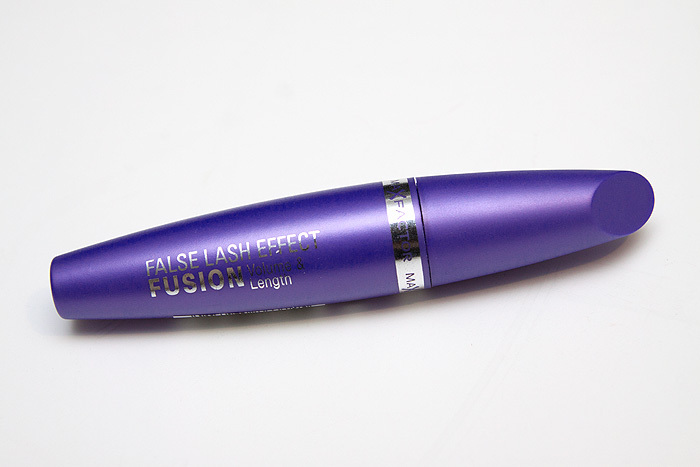 Have you tried Max Factor’s False Lash Effect Fusion Mascara yet? How about the original? The think that really pees me off about the Max Factor mascara is, it is the exact same thing as Covergirl lashblast fusion (same tube colour, same wand) but they’re charging us double the price for it. I usually visit the US once a year and stock up on Lashblast as its about $6.50 for a tube over there (which I guess is like £4-4.50 and they’re charging something ridiculous like £11 or £12 for it over here! My thoughts exactly XD I’d love to have lashes that long! I didn’t have the best experience with this. I’m currently comparing all new mascara’s to my favourite Falsies and this doesn’t compare. It does look lovely on you though, maybe I’m applying it wrong! Well well well..the great enabler of the South strikes again. It’s obvious that you knew that I was down to my last three mascaras and that I get itchy feet only having so few and thus you decided to post this. And I thank you for it because you’ve made the decision for me! I love the lashline emphasis you have here, I found that I got the same from using lash curlers and a Rimmel mascara, the lash curler is really good and it’s only a Boots No7 one (it’s all on the blog). I always pass this too because I feel that sometimes the hype might be too much but now I see that it works well so it shall be purchased! I feel naked with only three mascaras.. I really love the original one and everyone I used it on, loved it, too. Will have to take a look at this one, as I haven’t tried it yet. I'm always trying out new mascaras, but always go back to MF False Lash Effect. Nothing beats it. I find it so strange that covergirl lastblast fusion looks exactly thesame. Is it just repackaged? I have the mascara that is less spangly and I absolutely love it! 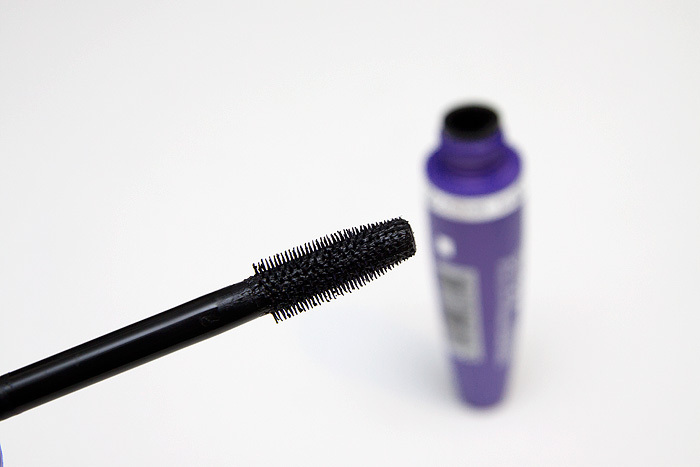 Works wonders for those of us who weren’t born with your amazing lashes! I am wearing this very mascara today. I like it but it takes a while to build. it’s not a patch on my other Max Factor loves – Xperience mascara and the ultimate HG that is Masterpiece Max. Proctor & Gamble owns Cover Girl and Max Factor, so it’s possible that it is the same mascara. I loved Max Factor’s 1000 Calorie mascara but since MF pulled out of the US, you can’t get it anymore. My latest love is Maybelline’s Full n Soft Waterproof formula in black. Maybe the CG Lash Blast Fusion is worth a look? thanks for the review. I was thinking of buying this and I definitely will now. Your lashes look amazing! I heart this too; I got big props from the girls on the Chanel counter after this, always nice!